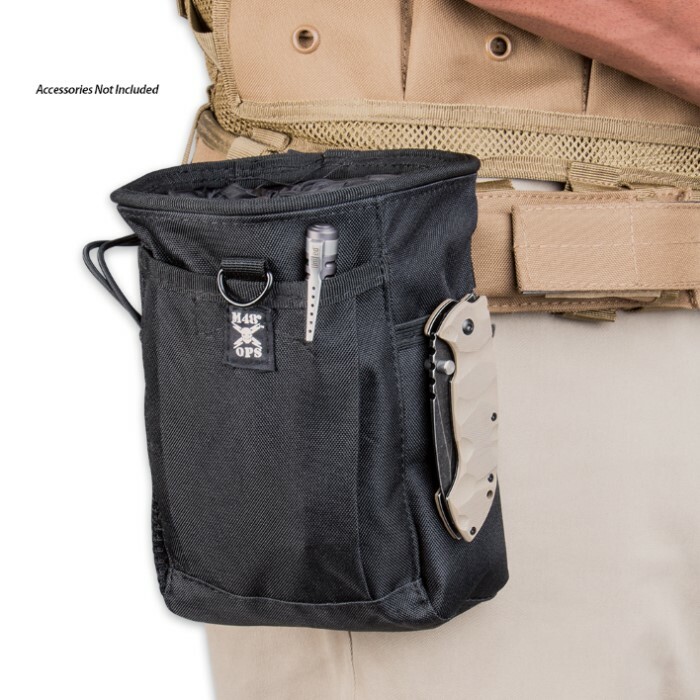 M48 Gear Tactical Small Collection Pouch Black | BUDK.com - Knives & Swords At The Lowest Prices! 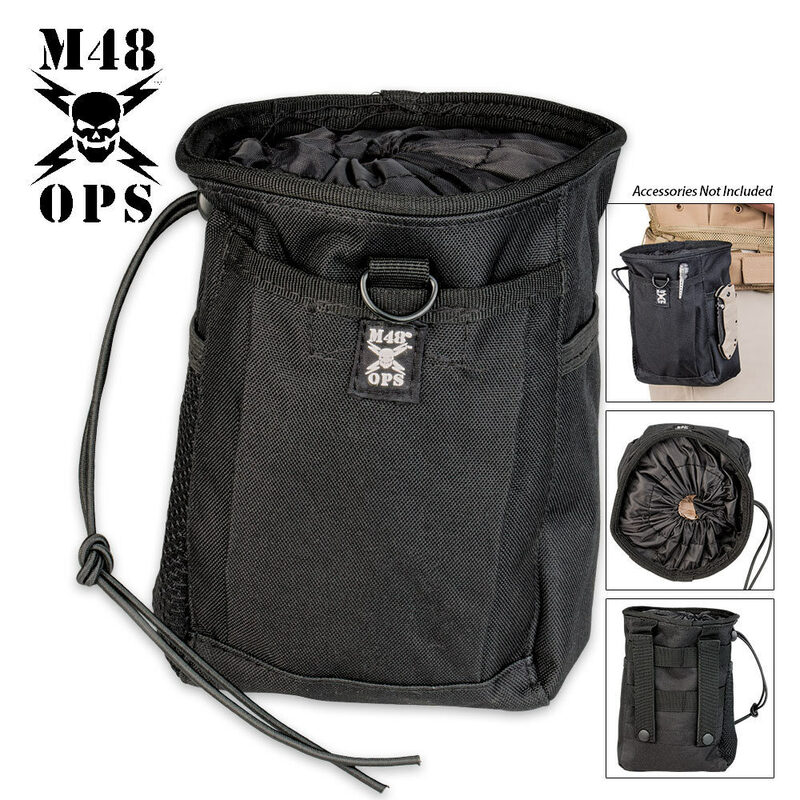 This brand new M48 Gear small collection pouch is perfect for holding your belongings, used ammo or anything else you can think of! The main compartment is lined for extra protection. 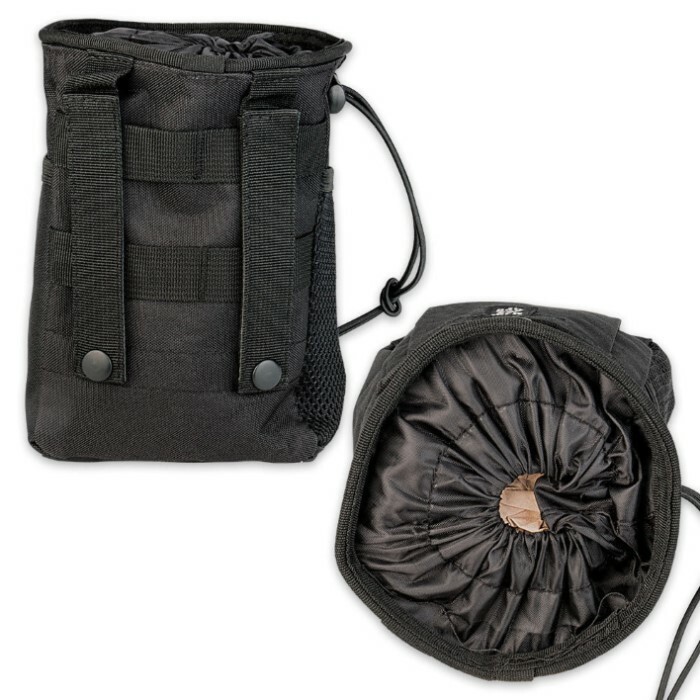 The front of the bag features a small compartment with a Velcro closure. Two side compartments, one with mesh, and straps on the back make this pouch handy and easy to carry with you anywhere. Well made with no loose threads. It is a little bit high in price though.